Observations of astrophysical systems where gravity is extreme -- highly-dynamical and/or non-linearly strong -- have the potential to shed light on some of the most profound questions in physics today: from the nature of compact objects to whether Einstein's theory accurately describes the merger of black holes. The first space-borne detector, LISA, a joint ESA-NASA mission is currently planned to be deployed in 2034, allowing for the first observation of the merger of supermassive black holes and of extreme mass-ratio inspirals. These observations will enable new accurate tests of general relativity, in particular in the strong regime. 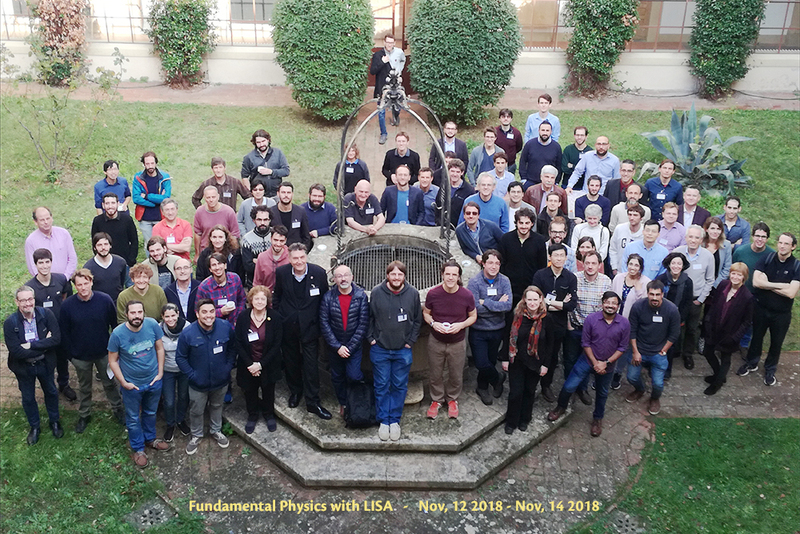 We announce the Fundamental Physics with LISA workshop which will take place on November 12-14, 2018. Its goal will be to discuss ways in which we can test General Relativity and learn about fundamental theoretical physics with future LISA observations. In order to encourage interaction and discussion, the workshop will bring together experts in theory, phenomenology, modeling and data analysis, and will have an unusual format. Each day will be centered around one of these facets, and consist of three topical sessions in which discussions will be moderated by a panel of three or four experts. The goal of the workshop is to foster fruitful interactions between different dimensions of LISA science. The workshop will take place on November 12th, 13th, and 14th to discuss ways in which we can test General Relativity and learn about fundamental theoretical physics with future observations with the LISA mission. The number of participants is limited. The registration deadline is *September 1st* or earlier if the capacity of the conference venue is reached. The conference fee (€60) includes lunch tickets for on-site catering. - European Research Council through grant agreement no. DarkGRA–757480 (“Unveiling the dark universe with gravitational waves”). For hotel accommodation, participants may contact Mirella Ridi, ggihousing@fi.infn.it.